Recipes for harmony between deliciousness and fitness. With spring weather starting to come around – or already in full-swing for those of us in the Southwest – it’s a great time to cook up this American family favorite again! 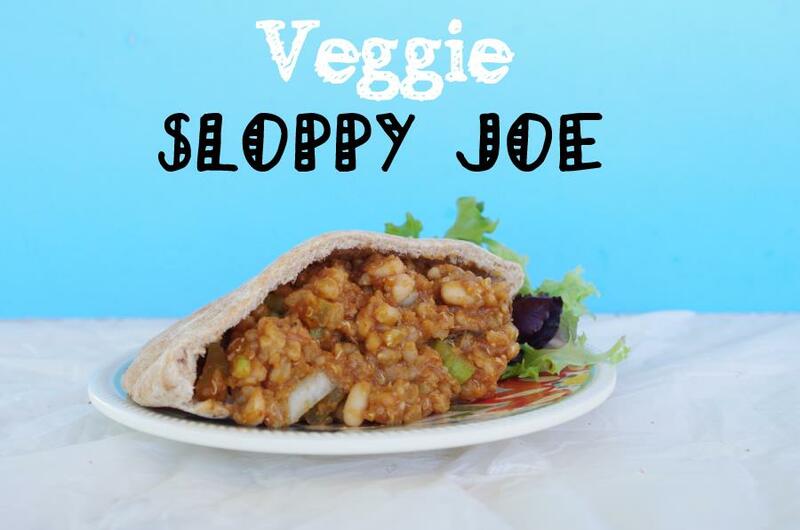 Sloppy Joes are great for any weather – warm and hearty, they are appetizing in cold weather; as a BBQ sandwich, these are also totally appropriate in warmer months. It’s fantastic. They simultaneously keep me warm on a cool spring night, while preparing me for summer with flavors of grill-outs! I especially loved it when my mom would make these with ground turkey – which quickly became the meat of choice in our house growing up. Yep. Everything from meatloaf to burgers to tacos… turkey. These days, I tend to cook vegetarian most of the time, and of course I love coming up with recipes veggies and non-veggies will both enjoy. Non-discriminating recipes are the bestest. As a result, I now bring you the veggie approximation of the turkey Sloppy Joe by way of hearty grains covered in an amazingly delicious BBQ sauce. Put yer bibs on. It’s time to get a little messy! And, might I note, this BBQ sauce is a much better choice than your average store-bought sauce. It has half – check it, HALF – the calories of many sauces out there. That’s because I use tomato paste, already very naturally sweet and flavorful, instead of sugar or HFCS. Also, no scary ingredients! Pssst. Also super yummy! Then: (KC Masterpiece Classic as a random example) 60 calories, 12g sugars. and a bunch of odd ingredients/ 2 T.
Now: 29 calories, 6g sugars, and these ingredients below/ 2 T.
Whisk all ingredients together until well combined. Add water one tablespoon at a time, whisking, until you reach your desired consistency. In a rice cooker sprayed with cooking spray, cook the farro and quinoa together with the stock until soft and fluffy (about 15-20 minutes). Meanwhile, chop the celery, and in a separate bowl, mash the beans up a little with the back of a metal spoon. When the farro and quinoa are done cooking, transfer to the bowl with the mashed beans and add celery, pickle relish, and as much of the BBQ sauce as you need. Mix everything together until well combined and serve on a whole-wheat bun, a pita, or in a lettuce cup! I'm Courtney, your friendly fitness + healthy recipe blogger. 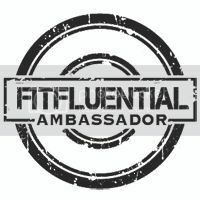 I am a certified fitness professional who loves bringing tasty food to the table and sharing my recipes with the world. Sign up with your best email to get your always free, always fab recipes! I respect your privacy - I won't share your info or use it for evil! Copyright © 2014 [FitCakery] All rights reserved. All borrowed content must be approved before sharing and properly credited. Thank you. My name is Courtney, and I write healthy recipes, fitness tips, and provide personal training options as well! My new cookbook is on Amazon.com for presale! Click this link to get your copy & support FitCakes! The journal of a girl with a lifelong mission for good food, good health, and good times. Read on as she dives with reckless abandon into the thick of life and discovers the art of cuisine, fitness, and living. Flourless Cake - A protein recipe with a twist! 37 Most Fantastic Healthy Frozen Desserts - Of All Time! Coffee Cake Recipe Roundup - for all! Easy Weekly Meal Prep for One - or More! 32 Kickoff Recipes for Superbowl Sunday! Spoiler Alert: My Cookbook is Out! Protein Powder Cookbook - it's Here! Learn how to balance your favorite foods with health by joining the FitCakes community!